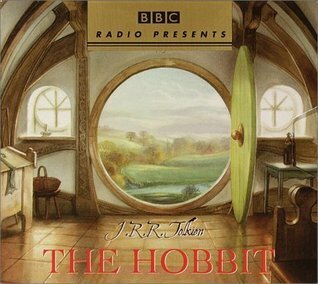 A BBC Dramatization 3 hours 35 minutes, 5 CDs Bilbo Baggins, the hobbit, is a peaceful sort who lives in a cozy hole in the Shire, a place where adventures are uncommonâ��and rather unwanted. So when the wizard Gandalf whisks him away on a treasure-hunting expedition with a troop of rowdy dwarves, he's not entirely thrilled. Encountering ruthless trolls, beastly orcs, giganti A BBC Dramatization 3 hours 35 minutes, 5 CDs Bilbo Baggins, the hobbit, is a peaceful sort who lives in a cozy hole in the Shire, a place where adventures are uncommonâ��and rather unwanted. So when the wizard Gandalf whisks him away on a treasure-hunting expedition with a troop of rowdy dwarves, he's not entirely thrilled. Encountering ruthless trolls, beastly orcs, gigantic spiders, and hungry wolves, Bilbo discovers within himself astonishing strength and courage. And at the ultimate confrontation with the fearsome dragon Smaug, the hobbit will brave the dangers of the dark and dragon fire alone and unaided.